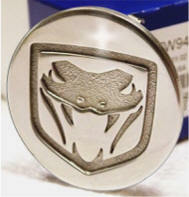 Factory original polished aluminum wheel center cap with "Fangs" logo embossed. Snaps on. Includes 1 cap. 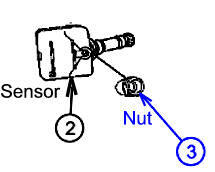 Factory Original Brand NEW Tire Sensor and nut for one tire. 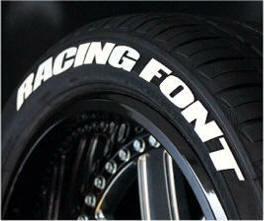 TW-WHTLET4 Dodge Viper SRT-10 (03-10) 'White Letters' for your tires. Does not include center cap. Price varies greatly by year. 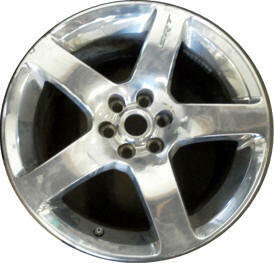 Factory Original Machine Re-polished to look and handle like NEW High Polished Aluminum Viper Wheels. No Longer Available through Dodge. Factory Original - Machine Re-polished to look and handle like NEW. 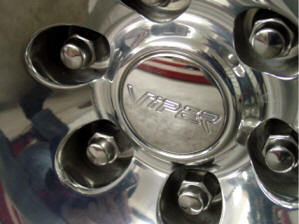 High Polished Aluminum Viper Wheels. 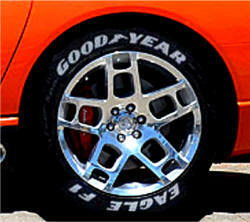 Factory Original Wheel Refinished High Polished Aluminum Viper SRT-10 18" x 10" Wheels. Looks and functions as new! Does not include wheel Center caps. have their own part number. 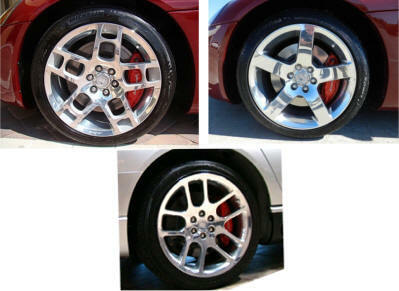 Factory Original Wheel Refinished High Polished Aluminum Viper SRT-10 19" x 13" Wheels. Looks and functions as new! JU-1JJ59DX8AA Dodge Viper SRT-10 (2008-2010) Black ACR 5-Spoke Wheel. 18" front and 19" rear. Call or email us for a current price. 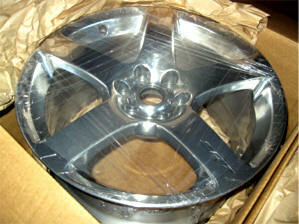 Factory Original Brand NEW High Polished Aluminum Viper 10" x 18" Wheels. 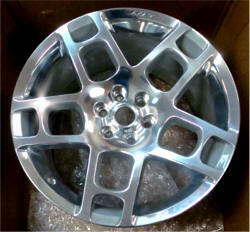 Factory Original Brand NEW High Polished Aluminum Viper 13" x 19" Wheels. 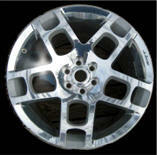 We can Chrome, Re-Chrome, Refinish or Repair any Wheel. 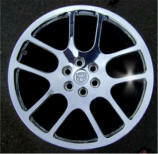 For chrome prices see - Chroming. 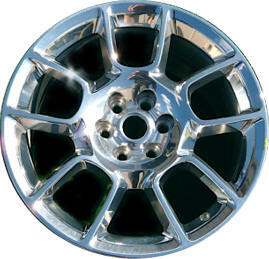 We can find you a wheel or multiple wheels of any kind you need. Give us a call for details. 352 688 8160 M-F or email us. 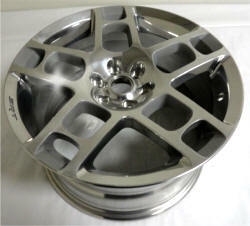 Factory Original Wheel Refinished High Polished Aluminum Viper 10" x 18" Wheels. 6 x 114.3 Bolt pattern. 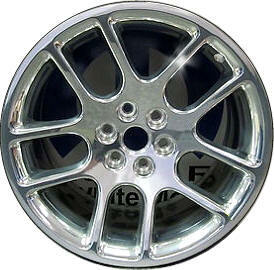 Factory Original Wheel Refinished High Polished Aluminum Viper 13" x 19" Wheels. 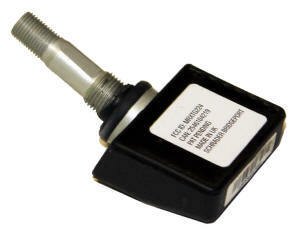 Stock tire sensor for Dodge Vipers 2003-2010. The Pilot Sport PS2 is a Max Performance Summer tire member of the Michelin Pilot family of low profile, high-speed tires. 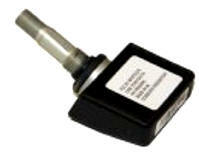 Initially developed for Original Equipment (O.E.) on some of the world's most prestigious sports cars and performance sedans, the Pilot Sport PS2 combines world-class dry road traction, handling and cornering. Some of the first Pilot Sport PS2 O.E. fitments included the BMW Alpina Z8, McLaren SLR and Porsche GT2/GT3 models. The Pilot Sport PS2 is not intended to be driven in near-freezing temperatures, through snow or on ice. 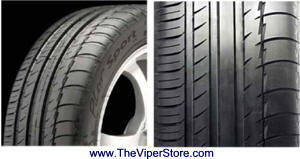 On the outside, Pilot Sport PS2 features two different tread rubber compounds (a hybrid silica/carbon black compound that begins at the tire's outer shoulder and continues across the tread until it joins a high-silica compound that continues to the tire's inside shoulder) molded into an asymmetric design with large outer shoulder blocks and continuous intermediate and center ribs to enhance steering response and cornering stability. Both tread compounds are specifically formulated for their location to combine dry and wet traction with crisp corning and high speed capability. The tread design also features wide circumferential grooves and lateral notches that help channel water through the footprint to enhance wet road traction. On the inside, the tread design is supported by two high-tensile, lightweight steel cord belts that are further reinforced by size-optimized, precisely placed individual Aramid/nylon hybrid filaments to provide improved steering response and resistance to distortion while enhancing ride quality and high-speed durability.